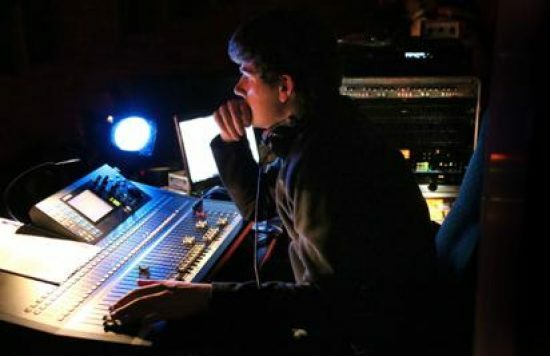 Tassie local and tech lover, Stewart Holmes, is realising his career dreams as a sound technician thanks to his ArtsReady traineeship. At only 22, Stewart is now Head Technician at the Burnie Arts Function Centre in Tasmania and is director of his own sound production business. Stewart completed two traineeships in 2014 and 2015 as a Sound Technician trainee at Marist Regional College. He also studied a Certificate 3 and 4 in Sound Production, which he said, inspired him to create his own business. “Thanks to everything I learnt during my traineeship especially in the study component, I felt confident enough to launch my own business. I now run a company called Dynamic Production and Backline, providing PA and lighting solutions to clients all over Tasmania,” he added. Stewart’s hard work and commitment through his traineeship saw him take out the 2015 Tasmania AFL SportsReady Trainee of the Year, making him the first ArtsReady trainee to be awarded the honour. It is no surprise that four years on he is a Head Technician and business owner.